Good news, telefilms are back and MTV is doing good job in promoting these. There are very good films produced by MTV in collaboration with various brands across the country. Not only these films are rich in content but also have a message. Today I am going to review a telefilm brought to you by MTV India and Hindustan Unilever Ltd. The film has been written by Anurag Basu and directed by Akarsh Khurana. Any guesses so far? 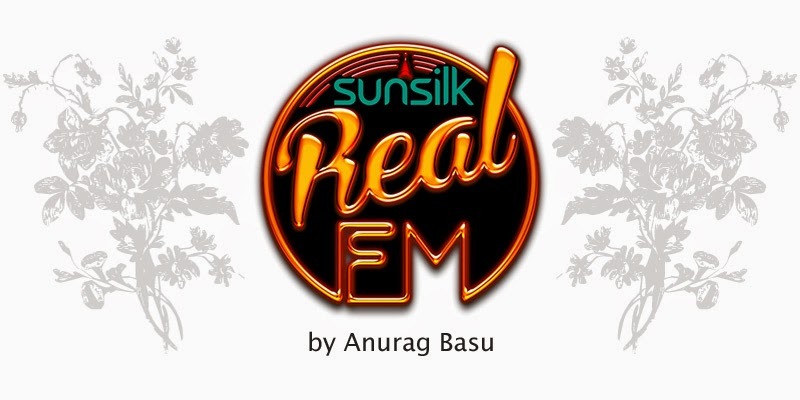 The movie is “Sunsilk Real FM”. Story is of Rhea (main protagonist) and her two friends Saloni and Natasha, who accidently get a chance to run a FM station for one day. This all begins when one employee, Meherzaad of Real FM argues with his boss (Rhea’s father) over no appraisal. To which FM station owner explains to him that station is going through huge financial crisis. Real FM listeners are reducing each day due to lack of good content and investors have lost faith in their station. Meherzaad warned boss that if increment is not sanctioned today, no one will come for work from next day. Boss tried to convince another employee Sameer (Rhea’s ex-boyfriend) as well and he too didn’t stop. Rhea’s dad got stroke and there is no one who will run radio station for next day. That’s when Rhea decided to do something about it. The day is Independence Day. This day is very important for Radio Station as on the basis of listeners’ reaction to station that day investors will decide whether to continue or leave. She takes charge in her own hands with help of her friends Natasha. Natasha is technically savvy and takes help from you tube to run devices on the station. Her sister Akansha who is studying journalism also helps them by pitching live views from public about engaging topic, what rules they would like to break on Independence Day. Friends get an idea to represent all states of India in one day via music. Later Saloni also joins them. It’s very interesting to see like how having a good network helped Rhea in running station. All friends used their contacts, acquaintances and are successful to bring musicians. But their journey wasn’t smooth when they are bothered by goons, Meharzaad later returning with the intention to stop station from running, policemen decided to put Akansha behind bars. How whole story unfolds and whether they are able to complete one day successfully is very interesting to watch. Saloni’s father is very strict. He has put lot of restrictions on Saloni. She is not free to go anywhere on her own. Behavior of her father turns her into very shy, low confident girl. Her dad later realizes his mistake when he discovers that how talented his daughter is. Parents should not be very conservative and strict towards their children. Chances of doing something wrong increases either in too much strictness or negligence. If we really want to do something in our lives, there are no excuses. If you want to do something, you will find the way to do it. Good friends are like assets. Make every effort to preserve this relation. All actors have done very good work. Music is soothing to ears and you will find few tracks to keep it in your shelf. Lot of folk songs from different states are present in the album. You can also find the movie on youtube. You are welcome to post your comments below or you can write at reviewandwriteup@gmail.com.